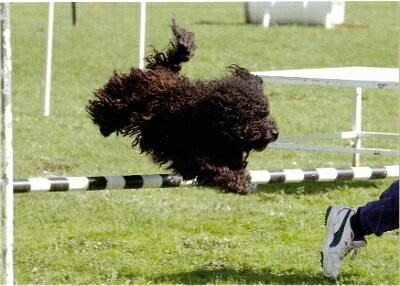 For those who don't know, the Puli is a large, herding dog with hair not unlike Bob Marley's. They're sweet, energetic and full of character. Don't believe us? Here are a few pictures. Just try not to smile- we dare you! 12. Still not smiling? Well…. 13. LOOK! Heres one with an adorable topknot! 14. LOOK! An entire armful of them! 15. LOOK! They're even smiling at you! 17. Sorry, got a little carried away there… OMG, OMG, it's playing with a cat! AWWWWWWW! 19. NOW THERE'S TWO OF THEM! AWWWWWWWW!